Scientific insights and clinical ingenuity continue to drive progress in the microinvasive glaucoma surgery (MIGS) space. Because many of the procedures involve intraoperative gonioscopy, MIGS has reinvigorated interest in a skill that many clinicians probably never felt the need to refine. MIGS surgeons are now accustomed to the additional steps needed for positioning the patient’s head and eye, the microscope, and the gonioscope to optimize the view. Early in the learning curve, this process can be daunting, and an uncooperative patient complicates matters. Additionally, the surgeon has one hand on the gonioscope, which limits intraoperative manipulation to one-handed maneuvers unless an assistant is present. This situation is reminiscent of pars plana vitrectomy surgery years ago, when a handheld contact lens was used to visualize the posterior segment. In the current era, a scope-mounted system has replaced the handheld lens for most vitrectomies, eliminating the need for an assistant to hold the lens. Gabor Scharioth, MD, PhD, has developed a hands-free, scope-mounted intraoperative viewing system (Scharioth’s Angle Viewing System; Ivantis) for the anterior chamber angle. Based on Dr. Scharioth’s video (http://eyetube.net/video/asool), the viewing system appears to give similar views to those of a Swan-Jacob goniolens (Ocular Instruments). As his video demonstrates, the surgeon’s second hand is free for globe stabilization or intraoperative maneuvers. Newer surgical techniques such as gonioscopy-assisted transluminal trabeculotomy, an ab interno suture trabeculotomy, require two-handed manipulation. Dr. Scharioth’s mounted viewing platform might greatly aid surgeons performing these procedures without skilled assistants. 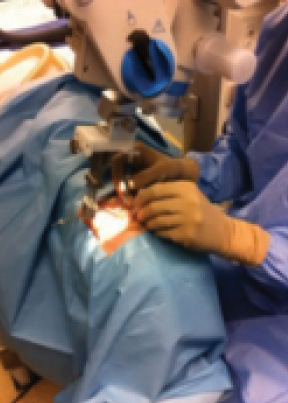 Earlier efforts to improve intraoperative gonioscopy include the Volk Transcend Vold Gonio Surgical Lens (Transcend Medical), which has a Thornton-style stabilization ring to allow the surgeon to control eye movements with the gonioscopy lens in position. Another is the Ahmed 1.5× Surgical Gonioscopy Lens (Ocular Instruments) by Iqbal Ike Ahmed, MD, which aids visualization with a wide field of view and increased magnification. Fiber optic ab interno visualization has also been used for high-magnification examination of angle structures and procedures, especially when the corneal clarity is compromised. A look back at the evolution of cataract surgery shows that many critical steps and insights advanced the procedure. The continous curvilinear capsulorhexis, hydrodissection, foldable lenses, and other innovations built upon each other to encourage further refinement. In a similar way, improvements in ophthalmologists’ approaches to angle surgery, such as hands-free stable viewing of the angle, may facilitate advances in anterior chamber angle surgery as well as make the procedures more effective and easier to perform. Section Editor Soosan Jacob, MS, FRCS, DNB, is a senior consultant ophthalmologist at Dr. Agarwal’s Eye Hospital in Chennai, India. 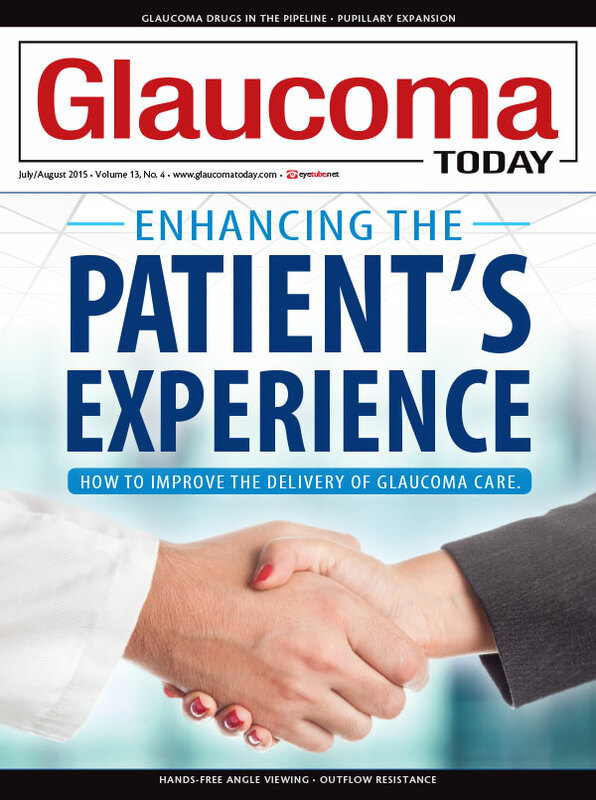 Section Editor Jonathan S. Myers, MD, is an associate attending surgeon on the Glaucoma Service at Wills Eye Hospital and director of the Glaucoma Fellowship. He acknowledged no financial interest in the products or companies mentioned herein. Dr. Myers may be reached at (215) 928-3197; jmyers@willseye.org.